? Ph.D. (OrganicChemistry) from Department of Chemistry, Gurukula Kangri University, Hardwar in 2009.
? M.Sc. (Chemistry)-Specialization in Organic Chemistry from M.J.P. Rohilkhand University, Bareilly with FirstDivision (65.7%) in 2002.
? B.Ed. (Theory 1st Class61% & Practical 1st Class 75.3%) from C.C.S. University,Meerut in 2004.
? B.Sc. (Chemistry,Zoology, Botany) from M.J.P. Rohilkhand University,Bareilly withFirst Division (62.2%) in 2000.
? Received ResearchFellowship in Science for Meritorious Student from U.G.C., New Delhi in 2008.
? Six months Diploma inComputer Application.
? Three monthsCertificate in Computer.
? 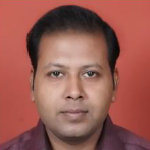 Currently working as a Assistant Professor in Department ofApplied Science and Humanities, Moradabad Institute of Technology, Moradabad,from 9-08-2010 to till now.
? Worked as Center Controller in UPSEE-2015, UttarPradesh Technical University, Lucknow.
? Worked as Control roommember (External Exam- A. P. J. Abdul Kalam Technical University, Lucknow) from2012 onwards.
? Member of the EditorialBoard of International Journal ofAdvances in Engineering Research &International Journal of Research in Science & Technology since 2015.
? worked as a Chief Proctor and Head ofChemistry Department in Garg Degree College,Laksar (Hardwar)in session 2008-09 & 2009-10 .
? Three years teachingexperience as a Chemistry Lecturer at graduate and postgraduate level inDepartment of Chemistry, Sahu Jain College, Najibabad in session 2002-03,2003-04 & 2004-05.
? From the last tenyears, applicant is involved in research field in natural products. The Ph.D.dissertation is focused upon the extraction and separation of medicinallyuseful oils and other materials from the rhizomes of a plant. It deals mainlywith medicinal chemistry including separation of biologically active constituentslike fixed oils, essential oils, alkaloids, steroids, flavanoids etc. and studyof their biological activity against pathogenic bacteria, fungi. Separation ofbiologically active constituents through column chromatography, preparativeTLC, GLC and identify them through modern spectroscopic techniques like NMR,Mass and FTIR.